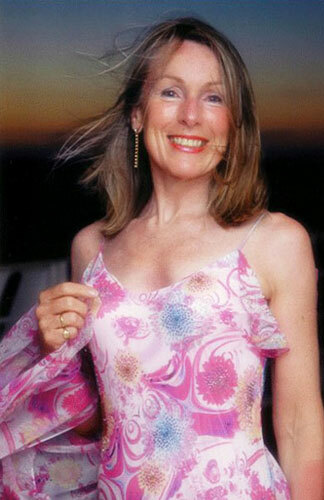 Born in North Wales, Helen Field studied at the Royal Northern and the Royal College of Music, London. She won many awards including the Dame Eva Turner Prize for Opera, the Royal Society of Arts Scholarship and the Young Welsh Singers Competition. She began her career as a recitalist for the BBC Young Recitalist Series produced by Paul Hamburger before going on to give recitals at the Wigmore Hall, the Purcell Room, Brangwyn Hall and for Graham Johnson’s Songmaker’s Almanac. Her operatic career commenced as a principal artist at Welsh National Opera during the Golden Era under Brian McMaster and Richard Armstrong, where she worked with directors including Peter Stein, Rudolf Noelte, Joachim Herz, Harry Kupfer, Serban, Javerfelt and David Pountney in roles such as Desdemona, Marenka, Butterfly, Mimi, Musetta, Tatyana, Jenufa, Marzellina, Poppea, Katerina (Greek Passion), Gilda, Vixen and most recently, Salome. Her many roles for English National Opera include Gilda, Jenifer (Midsummer Marriage), Pamina, Nedda, Violetta, Donna Anna, Marguerite (Faust), Duchess of Parma and Aunt Lydia in The Handmaids Tale. For Opera North she has sung Suzanna, Violetta, Manon (Massenet), Daphne (British Premiere), Donna Anna and Magda in La Rondine, whilst for Scottish Opera she has sung Vixen, Katya, Salome and the World premiere of Ines de Castro by James MacMillan. Elsewhere in the UK she sang Mimi, Jo-Ann in Tippett’s New Year and Pearl in Birtwistle’s Second Mrs Kong for Glyndebourne Festival opera, as well as Aithra in Garsington’s Aegypische Helena and title role in Lady Macbeth of Mtsensk for Opera Ireland. Her International career has taken her to the world’s main opera houses, including the Governess in Britten’s Turn of the Screw in Cologne, Dresden, Montpellier, Amsterdam, Schwetzingen and Barcelona. Gilda at the Metropolitan Opera House, New York, Butterfly at the Deutsche Oper, Berlin, Aspasia in Monte Carlo, Desdemona in Brussels, Jenufa in Liège, Düsseldorf and Toronto, Aegyptische Helena at the Avery Fischer Hall, New York, in Cagliari and on tour for the Royal Opera. As the title role in Salome her appearances include Brussels, Santa Fe, Los Angeles, Royal Opera Covent Garden, Hamburg, Hong Kong, Nuremburg, Scottish Opera, Amsterdam and Frankfurt. Although committed to the role of the singing actress, her repertoire extends from Baroque through to Contemporary music, having sung the title role in many significant world premieres. She has recently added roles such as Kostelnicka and Countess de la Roche (Die Soldaten), the latter performed in a hugely successful production by David Pountney at the Ruhr Triennale and at the Kennedy Centre New York. She has recently repeated this role in Willy Decker’s amazing production in Amsterdam. Other roles recently performed are Marzellina in Le nozze di Figaro which she sang at La Monnaie, and cameo roles in Weinberg's The Passenger and The Portait at the Bregenz Festival, Opera North and ENO. On the concert platform she has sung with all the major orchestras in this country, including Four Last Songs at the London Proms with the BBC. Her many concerts abroad include Mahler IV at the re-opening of the Schauspielhaus in Berlin, a Leipzig Gewandhaus opera concert with Kurt Masur and Four Last Songs with Gunther Wand in Hamburg. The Prestigious Lawrence Olivier Awards nominated her as 'the most outstanding newcomer to opera' for her interpretation of Vixen. Also, 'outstanding operatic achievment of the year' for her Marguerite in Ian Judge’s unforgettable production of Gounod’s Faust. She was nominated for the Dora Moore Award for her Salome in Toronto. Alongside her opera, concert and recital schedule she has recently devised an eclectic and entertaining programme for soprano, piano and oboe with her husband, the distinguished oboist Murray Johnston. Helen enjoys imparting her experience and knowledge in masterclasses, also adjudicating prizes and competitions and as an independant music advisor. She has a teaching diploma and L.R.A.M. in vocal tuition and vocal physiology and teaches singing and repertoire in Cardiff, where she currently lives and at the Birmingham Conservatoire. Village Romeo and Juliet, Osud and Greek Passion, all with Sir Charles MacKerras, Rossini Stabat Mater with Hickox, Rigoletto with Mark Elder, Hiawatha with Bryn Terfel, Baroque arias with The Philharmonia and John Wallace trumpet, etc. Video recordings of Vixen, Turn of Screw, Fidelio, Ines de Castro, Otello etc.